Today we are going to do 重组词句 again. Take the medicine before bedtime. Hi Min Min, Thank you so much for this website! 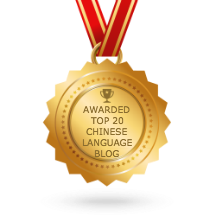 I am very excited about trying to learn Chinese along with my kids. I’m having a problem viewing the Chinese characters for some reason though. On my computer, they are just showing up as little boxes. Is there something I need to do to be able to view them correctly? My computer may be too outdated. I have Windows 98. Could this be the problem? Thanks for any help you can give! May I know what browser and what version you are using? If you are using Internet Explorer (IE), under View > Encoding, please select Unicode UTF-8. Or you can try to download and install the latest FireFox or Google Chrome. You can click on the link “show the answer” and it will show you the answer.